The last 12 months have seen the women’s game, particularly T20I cricket; reach new heights as a spectator sport. Record scores, hat-tricks, and a number of centuries have been seen in the shortest format and the ICC Women’s World T20 2018 promises all the more excitement for these reasons. Women’s cricket has been one of the fastest growing arms of the game, in terms of both reach and popularity, and it remains integral to the ICC’s overall strategy. The ICC has always endeavoured to keep the game moving forward, and with this in mind, changes were made to the playing conditions that have resulted in a marked change in the game. According to the new Playing Conditions, applicable from 1 October 2017, two new balls were introduced in women’s ODIs for the first time. During non-powerplay overs, a maximum of four fielders were allowed outside the 25-yard circle. Similarly, in T20I cricket too, the maximum number of fielders allowed outside the circle during non-powerplay overs was also reduced from five to four. 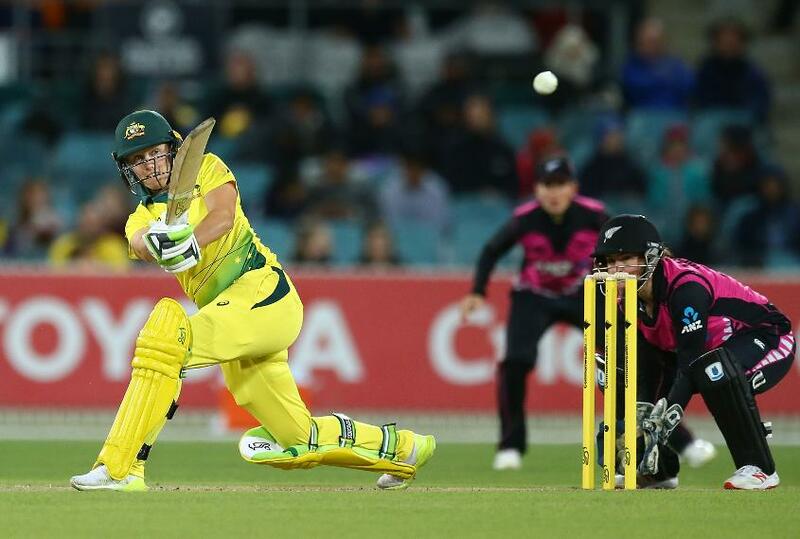 These changes have seen women’s T20 cricket become even more entertaining, both for in-stadium and television audiences. The rules have encouraged shot-making, and run-rates have risen. The average run rate in women’s T20Is up to September 2017 was 5.84. Since October 2017, the average run rate in T20 cricket has risen to well past 6 and totals have naturally risen, and some peaks have been scaled. At home, England put on a total of 250 against South Africa while scores have crossed 200 five times in the past year, a feat thought improbable until recently. Par scores in most conditions have risen, meaning that every match is even more of a spectacle than it was before. Rising standards in terms of cricketing skills as well as fitness have put players in an excellent position to take advantage of the new rules. The new playing conditions have also benefited from more and more women’s international games being held at top-class venues. "Expectations are high from us playing at home and it is important that we keep our composure" – Windies captain @stafanie07 wants her side to concentrate on teamwork in the upcoming Women's #WT20. Better pitches to bat on and faster outfields mean that players get more value for their shots, and this has allowed them to showcase their improved skills. As a result, the last year has seen twice as many centuries scored (six) as there have been in the last decade before this (three). November 2017 saw two centuries scored in the same T20I, in the women’s Ashes, another first. The bowlers too are catching up. With batters increasingly looking to go for their shots, the bowlers have more opportunities to get wickets. While economy rates have risen, 2018 has already seen two T20I hat-tricks – by Megan Schutt of Australia and Fahima Khatun of Bangladesh - the first time it has happened in a calendar year. For perspective, 2017 saw just one and 2016 none. Bowlers around the world are arming themselves with more variations, and those with genuine pace that can hurry the batters are valued now more than ever. These factors have boosted a sport that is already on the upswing around the world. With more wicket-taking and run-scoring opportunities in the T20 game, it has become even more attractive. Many countries, notably India and England, have seen an increase in their women’s cricket fan bases since the successful ICC Women’s World Cup 2017. The rising pace and higher scores in today’s T20 game could be the perfect spectacle to cater to this increased demand. T20 cricket has always been the biggest driving force in the growth of women’s cricket, and now holds even more potential to attract new fans. All these factors augur well for the upcoming ICC Women’s World T20 2018. The average run rate in the last Women’s WT20 was 5.99. Going by recent scores, the WT20 2018 could be the most high-scoring edition in the tournament’s history.